I often blog at this time of year on the theme of – well – New Year and the expectations that the turn of the year brings. Last Year’s blog was all about A Different Resolution, and our tendency to brand our year as “good” or “bad”. The pressures, the plans, the resolutions: all often broken quickly and guiltily within a few days of pinning the new calendar to the wall. I have heard that gyms cash in on the flurry of New Year get fit/lose weight resolutions, overselling memberships in the sure knowledge that the biggest majority of people who sign up will quickly lose enthusiasm or motivation before January is out. For me, January is the time to Dream and Plan. The darkest (and supposedly most depressing) month of the year is possibly not the best time for doing new things. It does not lend itself easily to the energy required to make lasting changes (although of course it’s not impossible!) I like December and January to be my Dreaming and Planning time. and then as we approach the end of the month and the season of Imbolc, and the energy makes a gentle shift, then things can start to move into action. 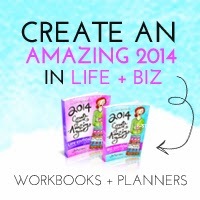 This year, I have been making this a more formal exercise, using The 2014 Create Your Amazing Year Workbook. And although it is very unlike me to promote products, this little book has made an enormous difference to how I feel able to manifest my dreams. 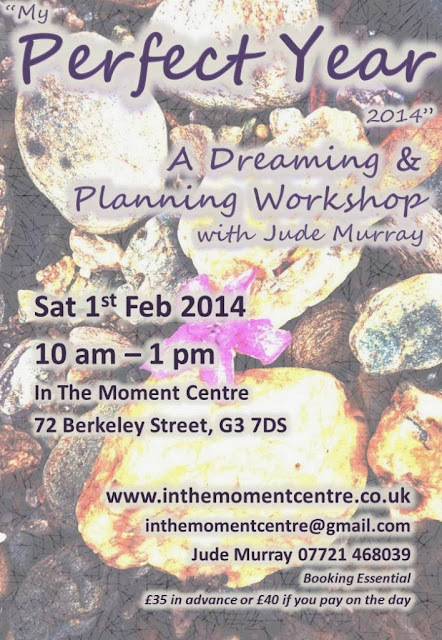 Because of how powerful this has been for me, I also made the decision to offer a workshop – My Perfect Year 2014 – on the theme of Dreaming and Planning to coincide with the season of Imbolc. I invite you to join me to share in some of the magic.